your own easy-to-use ecommerce website! Our ecommerce websites are the perfect solution for retailers, wholesalers, ebay sellers and anyone who wants to sell their products and services on the Internet. Adding your products and information is easy using our step-by-step instructions and tutorials. Australian businesses have a great opportunity right now to benefit from the growth in online sales that continue to increase year after year. A simple, yet powerful ecommerce website can turn a hobby into a thriving business or take an existing business to a whole new level. The cost of online marketing is still very affordable and is currently being under utilised by Australian businesses. With your own ecommerce website, you have the huge advantage of being able to advertise cheaply on social media and drive loads of customers to your website. Gone are the days when an ecommerce website would cost you thousands. Now you can get a fully secure website with your own domain name for just a couple of hundred bucks. The package includes free customisation of your store including adding your logo, images and colours. Updating the design of your site is easy with over a dozen pre-made layouts that can easily be customised for your business. Using the latest, most advanced ecommerce software, your website will have superior reliability, security and performance guaranteed. Update all the content on your website yourself. Adding products, categories and images is and easy. The secure admin area of your site allows you to check orders, view statistics and more. Accept secure online payments through PayPal, Stripe, ZipPay and many more. All the payment gateways are setup for you free! Australia post module included free with the package, as well as many more shipping modules. Secure, reliable web hosting with a 99.99% uptime guarantee. This package comes with a free '.com.au' domain name registered for 2 years, or you can use a domain you already own. Built in buttons for Facebook, Instagram, Twitter, Pinterest and Google+. The free social media plugin also allows your customers to login faster with their social media accounts. More and more people are accessing the Internet on their mobile phones and tablets. Your website is built using the latest responsive design technology so it looks good on any size screen. With a built in newsletter system and the ability to integrate with the free mailchimp system, you can dramatically increase sales using email marketing. Search engine friendly pages, structured data and google rich snippets allow your page to get indexed faster and get a better search eninge ranking. Support for your ecommerce website is provided for you every step of the way. Contact our expert Australian staff any time and we'll answer your questions right away. Within 24 hours you will be able to login to your website and start adding products. The custom graphic design for your site will be completed for you within 3-5 days. How much custom design work will I receive? - A custom header graphic incorporating your logo. - Basic logo design if you don't already have one. - Your colour preference for various parts of the site. - Design of the center image on the home page. - And background of the site. After you order, we'll get you to fill in a short online form with your design preferences. Will I be able to update the design and content myself? You can change any part of the site you want using our easy-to-use homepage builder, drop-and-drag menu maker and intuitive online slideshow editor. Changing the logo, adding social media icons and updating links is easy too. You will be able to list around 2000 products on your site. We can increase your disk space at anytime if you need to list more products than that. Some of our customers are selling over 10,000 products on their websites. It also works great if you only have a few products to sell. Yes, you will receive a free 2 year .com.au domain registration with your ecommerce website. After 2 years you can renew your domain name for $49 / 2 years. Web hosting is free for the first year. After the first year you can renew your web hosting for $99 per year. Yes, if you already have a domain name, you can choose that option when you place your order. If you prefer to use your own web hosting, you can move your entire website to a new web hosting account after it has been setup. Yes, you can setup as many custom email accounts as you like such as you@yourdomain.com.au. Do you setup the shipping and payment modules for me? Yes, we can configure your website to use PayPal, Stripe, ZipPay and Australia Post. We also have modules for Commbank, ANZ eGate, NAB Transact, Westpac Payway and many more. We provide ongoing email support for our ecommerce websites. If you need help with anything related to your website just send us an email and we will promptly reply. We also provide step-by-step instructions for using the site along with video tutorials. You will also receive access to a support forum where you can ask questions and search for answers. Can I sell my website for a profit? Yes, you will have complete ownership of your website and you can sell it for however much you like. How secure are your ecommerce sites? Your websites comes with a free 2048-bit encrypted SSL certificate. This the highest level of website encryption available. Our software is PCI compliant, trusted my all the major credit card companies. Yes, we are based in Australia at Ocean Shores on the north coast of NSW, near Byron Bay. We are 100% Australian owned and operated. 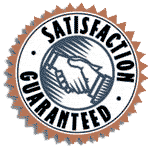 We're so confident that you'll be happy with your ecommerce website that we provide a 100% satisfaction guarantee. If your website doesn't function exactly as stated above, we guarantee we will fix it for you or you will get a full refund. Fully featured website for just $299 $199 per year. Your website will be setup for you within 24 hours. As soon as you place your order, you will receive full instructions for using your site.